Laya women are unique in Bhutan in that they wear their hair long. 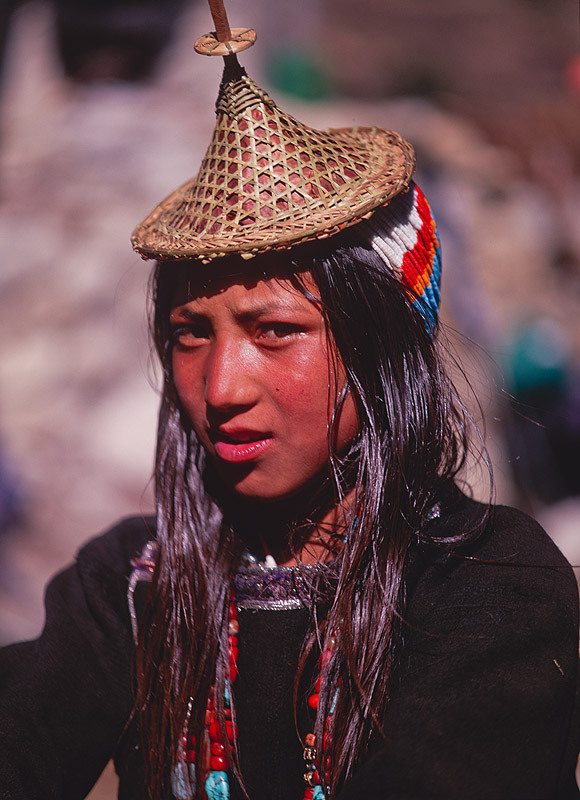 They also wear distinctive dress made of yake hair and sheeps wool, topped with a conical bamboo hat. These hats are associated with fertility.